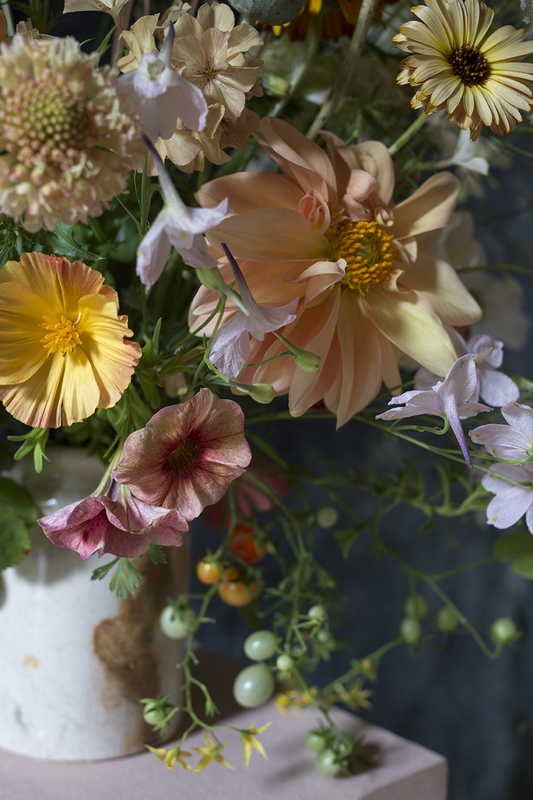 For this one-day workshop in high summer, students will learn how to make a hand-tied bouquet and arrangement using a variety of seasonal, garden-grown materials. 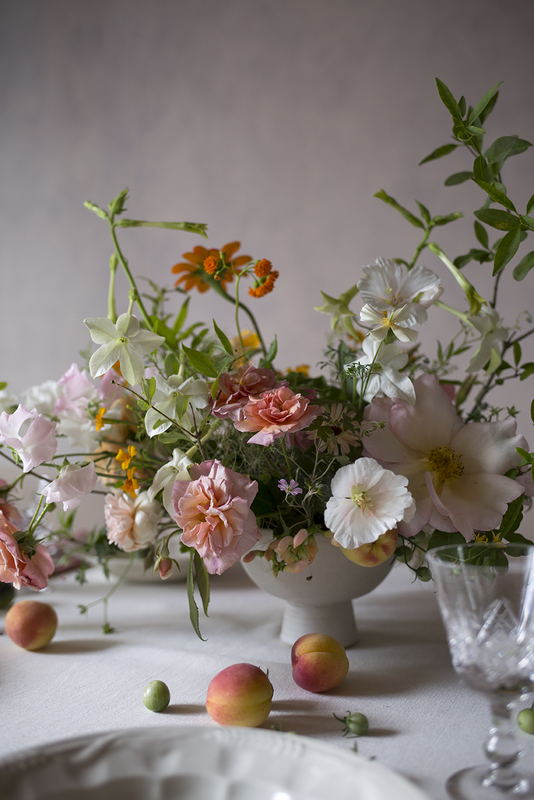 In this workshop we will explore how to evoke the enchanting profusion of an English garden at the height of summer. Students will select their flowers from an array of freshly cut farm-grown blooms including old fashioned roses, sweet peas, dahlias, delphiniums, scabiosa, marigolds, cosmos, campanula and nasturtiums. This is a wonderful time of the year to experiment with colour, from soft neutrals such as phlox ‘creme brulee’ and peachy dahlias to rust-centred roses, golden calendula and flaming Californian poppies. It is a bountiful season for edible ingredients, too - tomatoes on the vine, bronze fennel, flowering borage, fruiting branches and fragrant herbs - and textural elements such as grasses, seed pods and smoke bush.